I’m so excited to introduce you to my Friend Suzy today! You might have seen her around the web as @suzy6281 or on her own site. I got to work with Suzy last year for a group giveaway, and I truly admire and look up to her! She is so fun and creative, and her ideas are really unique. She has beautiful step by step instructions on her tutorials and a much better gift of stringing words together than I! So, I will stop talking (or typing in this case) and let Suzy take over! I’m Suzy, and I’m the “zookeeper” over at Suzy’s Artsy Craftsy Sitcom. I am an artist, crafter, designer and humor writer living in Atlanta, GA. 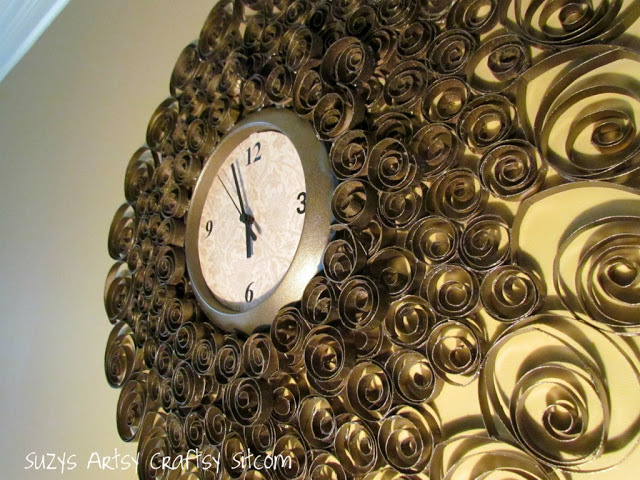 I love to specialize in vintage crafts and recycled crafts. I like my projects to be unique; something that you won’t find just anywhere. That said, I often find inspiration in odd places such as the plumbing aisle at Home Depot, or shelves at the Dollar Store. I like to look at an item and imagine the possibilities. And if I don’t have any in mind at that moment, well, I just store it for later. Ask my husband about my huge pickle jar collection, my cardboard box collection, my toilet paper tube collection, or my huge stash of dollar store odds and ends and he’ll just roll his eyes. He’s learned not to just throw things away without running it by me first. Those stashes one day just might be gold! I’m known for my faux metal crafts created from toilet paper tubes, and at most family gatherings, it is not unusual to be “gifted” with bags of the things. I guess there are worse things than being known as the TP queen. The Sitcom is a place to go for great arts and crafts inspiration. Currently there are over 100 fully illustrated tutorials on my Tutorial Page. I also like to keep things real. I am a humor writer and it is natural to include a bit of the family in my blog. After all, when you have a hubby, a mess of dogs and several daughters, it is pretty easy to find humorous things to write about. There is drama all around! There are doggie issues such as the time we had to risk our lives to try and brush our Chihuahua’s teeth, the time I fell off my husband’s Harley and cracked my ankle (while the bike was on the kickstand), that time I exploded hard-boiled eggs all over my kitchen ceiling (well actually the third time I did that…), my obsession with Tom Selleck and his mustache, that little incident with the jello in the bra…well lets just say there is plenty to make my life a Sitcom. My tag line, “Life is a Sitcom covered in glitter, hot glue strings, and dog hair. Isn’t it…?” kind of says it all. Erica Here: Isn’t she awesome!? I want to reach through the computer and give her a hug and have coffee with her! 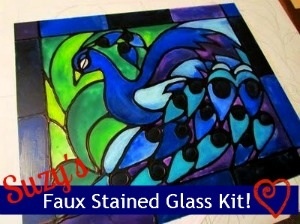 I think a girl’s craft night with Suzy would be about one of the most amazing things. She is so talented and fun! I love that she is known as the TP Queen. 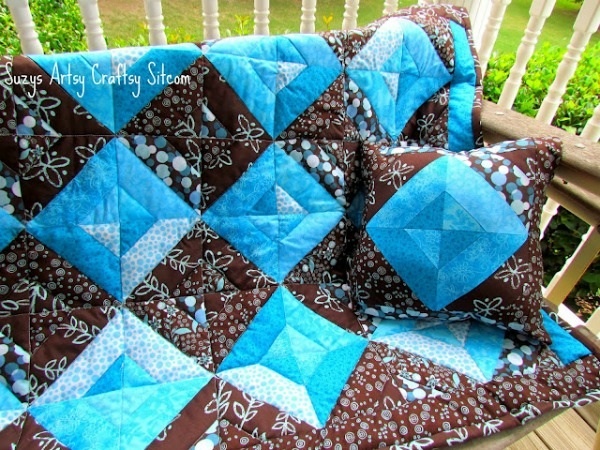 I absolutely adore her quilt and she gives you the pattern free! 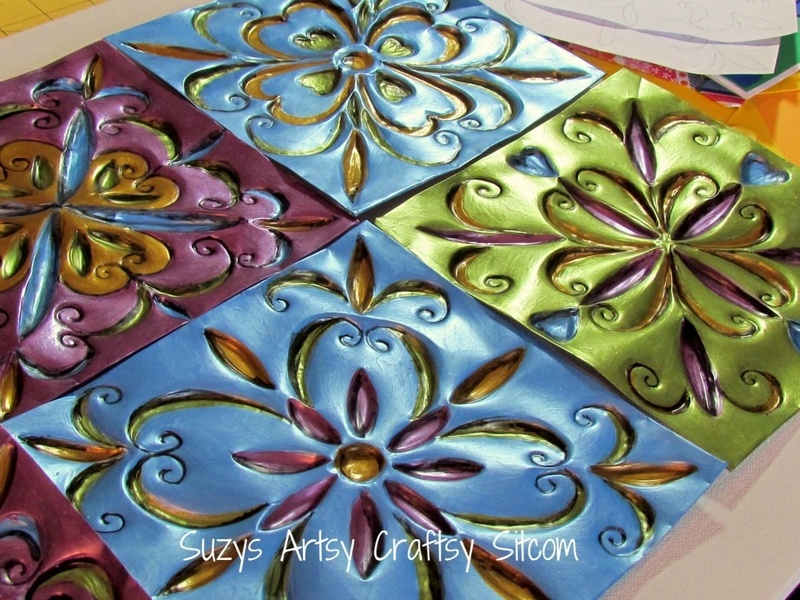 Suzy walks you step by step with so many gorgeous pictures on how to make this quilt. I’m not one for patterns, but I think I could do this with her tutorial! 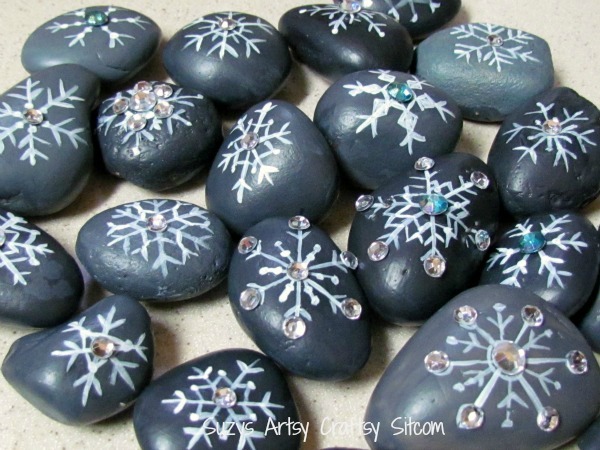 My boys would LOVE to makes these Snowflake Stones of hers. I wish I could list all her beautiful tutorials, but that is impossible. So, you need to just jump over to her site, browse around a little more, and please introduce yourself and say hi! Thank you so much for the great write-up! It is an honor to be included on your website! Oh, and we would love to have you at our next crafts meeting! no way!? That would be sooo fun! Yes, please let me know!!! Aren’t they Tahira!?! Suzy has skills!! Thank you so much for leaving a comment and I hope you will jump over to Suzy’s blog to let her know how much you like them as well!